This is a final post originally published on the Rally Blog which I am reposting here to keep an archived copy. I live in Brighton, on the south coast of the UK, about 50 miles from London. This means that I regularly catch the train for meetings or engagements “in town”. When making the journey, I always look at the timetable. Trains only run every 30-60 minutes, so if I get the timing wrong, then I’m most likely left hanging around at the station. Not a great use of time, especially with the typical British weather. When I get into London and need to catch the tube somewhere, however, it’s a different story. I just head to the right platform and wait for a train, knowing that one should turn up in a few minutes. There’s no need to check the timetable. Before we come to that, let’s first look at the common ‘Iron Triangle’ variables of time, cost and scope. If the date (and hence time) and scope are fixed, then logic suggests that the only thing we can vary is cost. This typically means adding people, although it could mean throwing money at the problem in some other way. Brooks’s Law, “Adding manpower to a late software project makes it later”, says that this will not work. An Agile approach can mean that any problems meeting the date and scope will be discovered earlier, and hence the effect of Brooks’s Law can be minimised. Colleague Alex Pukinskis recently blogged about how the Rally development team cheated Brooks’s Law with such an approach. If varying cost isn’t an option, then there are a couple of other options. The first is cutting corners and reducing quality. Note that I am not recommending this option! Having said that, if the date is critical for learning and feedback regarding a value hypothesis, then quality may be less critical, assuming quality will be built in once the value is well understood. The other variable is fidelity — this is the finesse of the solution. Delivering a low fidelity solution first ensures that scope can be met early. The functionality can then be iterated on to increase fidelity, knowing that when the date arrives — scope is in the bag. There’s a less obvious solution to the problem, however. Date and scope are often fixed as a reaction to the risk of “missing the train”. We want to be sure of what we get, and when we get it, because if functionality doesn’t make it into a release, we don’t want it left on the platform waiting for the next one. We can address that risk in another way. Here’s another example. We (ok, well, my wife) generally do a weekly shop at a nearby out-of-town supermarket. Because it’s weekly, we spend time planning by putting together a shopping list, thinking of everything we might need during the week. After all, if we don’t get everything we need, it will be another week until the next shop. This often results in over-stocking and the waste of throwing out unused perishable food. However, when we go and visit a friend who lives in the small village in the Lake District, we just pop into the local shops every day to get whatever we fancy for that day. There is no need to plan ahead or make decisions on what we are going to eat days in advance. 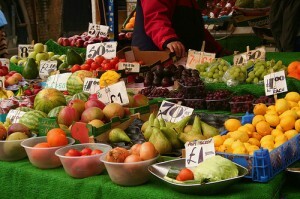 The local produce might be slightly more expensive than the big supermarkets, but it’s higher quality and there’s less wasted food. We trade-off a slight increase in cost for higher quality, deferred decisions and less waste. So instead of worrying about how to deliver to fixed time, scope and cost constraints (not to mention quality), I would recommend figuring out how to release more frequently. 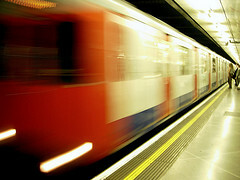 If your releases are like a tube train, arriving every day or so, then the need to plan time and scope lessens. Planning and implementing in smaller batches significantly reduces the cost, allowing more time to build the desired scope by the desired date. 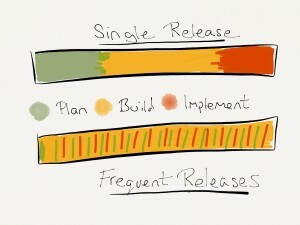 If a feature misses a release, it can just go into the next one straight after. Try this approach and let me know how it goes! This is another post originally published on the Rally Blog which I am reposting here to keep an archived copy. It was part of the same series as the one on annual and quarterly planning, in which we described various aspects of the way the business was run. Again, apart from minor edits to help it make sense as a stand alone piece I have left the content as it was. Strategy Deployment is about getting everyone involved in the focus, communication, and execution of a shared goal. I described in previous posts how we collaboratively came up with strategies and an initial plan in the form of an X-matrix. The tool that we use for the deployment is the Strategic A3. A3 refers to the size of the paper (approximately 11 x 17 inches) used by a number of different formats to articulate and communicate something in a simple, readable way on a single sheet of paper. Each rock or departmental team uses a Strategic A3 to describe its plan. This forms the basis for their problem-solving approach by capturing all the key hypotheses and results, which helps identify the opportunities for improvement. This annual Strategic A3 goes hand-in-hand with a macro, longer-term (three- to five-year) planning A3, and numerous micro, problem-solving A3s. This is what the default template that we use looks like. While it is often good to work on A3s using pencil and paper, for wider sharing across the organisation we’ve found that using a Google document works well too. Each A3 has a clear topic, and is read in a specific order: down the left-hand side, and then down the right hand side. This flow aligns with the ORID approach (Objective, Reflective, Interpretive, Decisional) which helps avoid jumping to early conclusions. The first section looks at prior performance, gaps, and targets, which give objective data on the current state. Targets are a hypothesis about what we would like to achieve, and performance shows the actual results. Over time, the gap between the two gives an indication of what areas need investigation and problem-solving. The next section gives the reactions to, and reflections on, the objective data. This is where emotions and gut feelings are captured. Then comes interpretation of the data and feelings to give some rationale with which to make a plan. The three left-hand sections help us look back into the past, before we make any decisions about what we should do in the future. Having completed that we have much better information with which to complete the action plan, adding high-level focus and outcomes for each quarter. The immediate quarter will generally have a higher level of detail and confidence, with each subsequent quarter afterward becoming less granular. Finally, the immediate next steps are captured and any risks and dependencies are noted so that they can be shared and managed. As you can probably imagine from reading the previous posts, the process of completing a Strategic A3 can be a highly collaborative, structured, and facilitated process. One team with which I work closely recently had grown to a point where we would benefit from our own Strategic A3, rather than being a part of a larger, international Strategic A3. To create it we all got together for a day in our Amsterdam office. We felt that this would allow us to align more strongly with the corporate strategy and communicate more clearly what we were doing, and where we needed help. We began by breaking into small groups of three to four people, mostly aligned around a regional territory. These groups spent some time filling in their own copy of the A3 template. We then reconvened together and each group gave a readout of its discussions, presenting the top three items from each section, which we captured with post-it notes on flip charts. Having gone around each group I then asked everyone to silently theme the post-its in each section until everyone seemed happy with the results. This led to a discussion about each theme and identifying titles for them. We still had quite a few themes, so we finished off by ranking them with dot-voting so that we could be clear on which items were most important. Our last step was to identify the top three items on the A3 that we wanted to highlight to the wider business. This turned out to be a relatively simple conversation. The collaborative nature of the process meant that everyone had a clear and shared understanding of what was important and where we needed focus. Strategy deployment is not a one-off, top-down exercise. 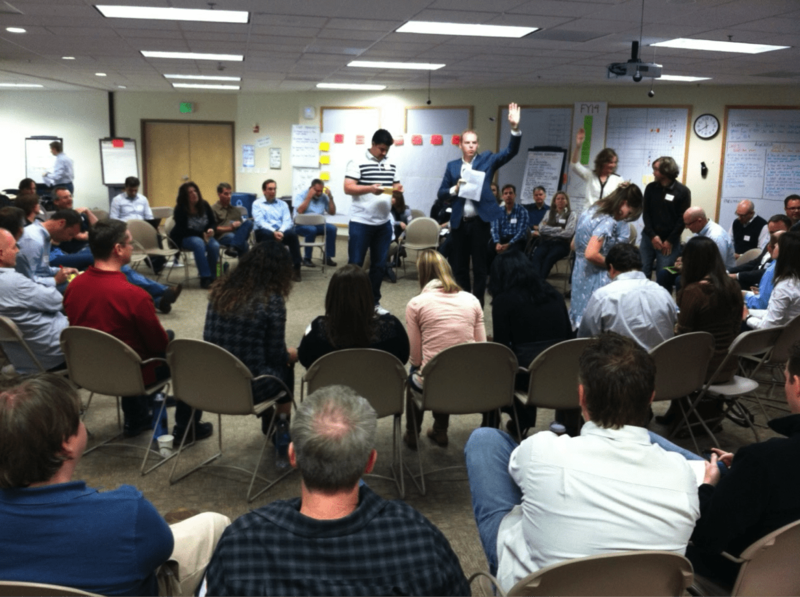 Instead, the Strategic A3 is used as a simple tool that involves everyone in the process. Teams prepare and plan their work, in line with the corporate goals, and each quarter they revisit and revise their A3s as a means of communicating status and progress. As performance numbers become available an A3 will be updated with any changes highlighted, and the updated A3 then becomes a key input into Quarterly Steering. This post was originally published on the Rally Blog and I am reposting here to keep an archived copy. It was part of a series in which we described various aspects of the way the business was run. Apart from one minor edit to help it make sense as a stand alone piece I have left the content as it was. However, I suspect that since Rally is now part of CA Technologies, much of what I described has changed. Rally has a regular, quarterly cadence with which we manage corporate planning, and in which we invest heavy preparation so that we get maximum value. For this year’s Annual Planning, preparation included creating market and opportunity maps and a set of potential strategies, as well as crafting an agenda to help facilitate the collaborative co-creation of the outcomes. At Rally, Annual Planning is a two-day meeting involving around 80 people – roughly 70 Rally employees and 10 invited customer representatives. The employees are a mix of people representing all areas of the business: directors and above always attend these key corporate cadences, and other members of the company take turns participating. The customers chosen to join us are those who have shown a keen interest in seeing how we facilitate these large events, and from whom we can learn and get great feedback. Apart from the confidential opening introduction, the customers are involved throughout: spread out across business groups and breakouts, sitting amongst employees, and actively working and contributing as much as anyone else. This year, we ran Annual Planning a quarter in advance of the financial year we’re about to start. We’ve learned that the initial plan will need validation and refinement, and thus we need to allow time for that to happen. Therefore, the purpose of the two days was to draft our corporate plan for the next financial year, so that we can validate it in the final quarter of the current financial year. What Do We Do in Annual Planning? Over the years, we have settled on terminology for corporate planning, inspired by a couple of books. First, Pascal Dennis’ Getting the Right Things Done introduces the terms “True North” and “Mother Strategies.” The True North is the single mantra or slogan that defines where the company wants to be at the end of the year. 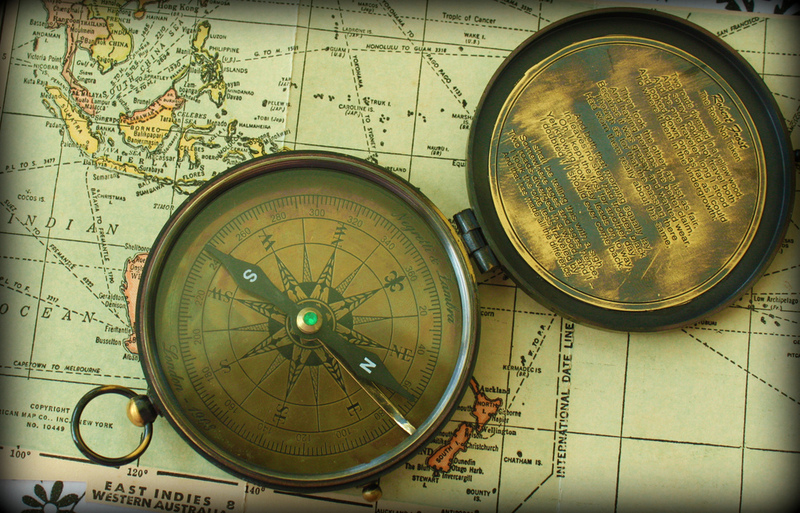 Mother Strategies are the focus areas that will help us arrive at the True North. 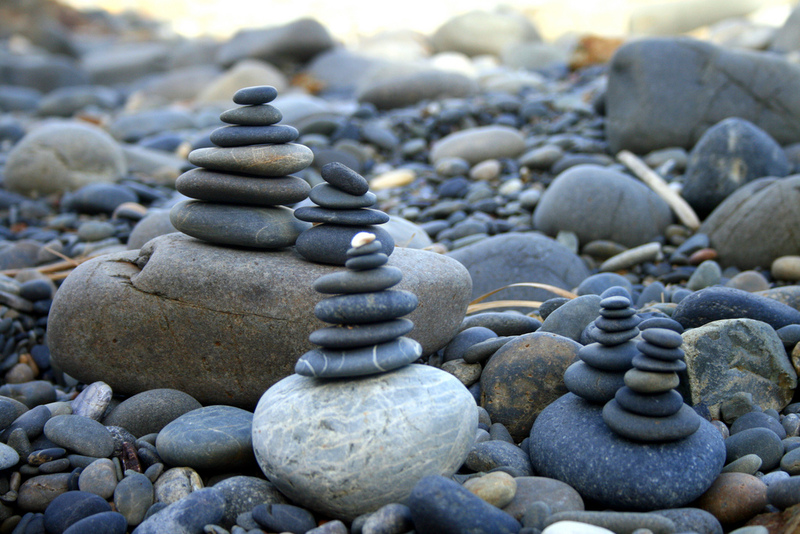 The True North and Mother Strategies guide the day-to-day departmental work, along with cross-departmental initiatives, which are knows as “Rocks.” Rocks are inspired by techniques described in Verne Harnish’s book, Mastering the Rockefeller Habits. The metaphor of a Rock is based on the idea that if you have a bucket, you should fill it first with a few big rocks: these are the big things you want to accomplish. If there is more space you can then put in pebbles, or medium-sized projects. With any remaining space you can put in sand, or the tactical tasks. Finally, you can add water — the ad-hoc things that arise. If you fail to put the big rocks in first, you will inevitably fill your bucket with just sand and water. For Rally, the annual plan, therefore, consists of a True North, a number of Mother Strategies, and a set of Rocks. In addition, this year we introduced a new tool to help create transparency and align all the elements: the X-matrix, as described in Thomas L. Jackson’s Hoshin Kanri for the Lean Enterprise. This brought with it a further level of discipline by including the business results we’re targeting, and the measurable improvements we will use to track progress. 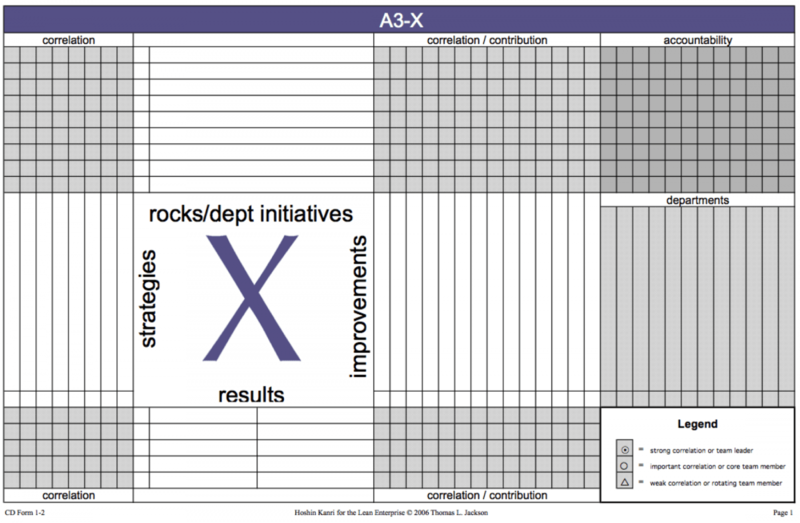 As you can see from the blank template above, completing the X-matrix involves deciding on strategic goals, tactical rocks (and other departmental initiatives), measurable improvements, and business results. These are entered into the large white sections alongside each section. In addition, filling in the shaded corner cells of the X-matrix indicates the correlation or contribution between each of these elements, as well as how accountable each department will be for the tactical work. The strength of the correlation or accountability is indicated with one of three symbols according to the legend: strong correlation or team leader, important correlation or team member, and weak correlation or rotating team member. An empty cell indicates no correlation or no team member. The agenda for the two days of Annual Planning involved exploring and defining all these pieces of the puzzle, ultimately filling in a giant X-matrix created on a wall. The picture below shows this partially completed. Taking the advice from the book, we adapted rather than adopted the technique, changing some of the terminology to better fit our context. Here’s what each day looked like. Day one was focused on divergence: generating a range of ideas which could go into the initial draft of the plan. We began with a retrospective on the current year; working individually, in pairs, and then in departments, we reflected on what we’d learned that would guide our work in closing out this year and setting us up for next year. Then, the executive team gave a readout of their perspectives and introduced the proposed potential strategies for next year. This led into an Open Space with breakout sessions focused on exploration of rocks and improvements that could implement those strategies. As a result, by the end of the first day we had a good understanding of the current situation, with a variety of potential work that might be needed to meet our goals. Day two was focused on convergence: refining all the ideas and getting consensus on a plan that could be validated. Groups initially formed around the proposed strategies to look at the plan through a “strategic lens.” Each group discussed how various rocks and improvements aligned to their strategy, and agreed on a proposal that they wanted to make for inclusion in the plan. In a high-energy session, the proposals were pitched to three of the executives, who accepted them (with a chime) or rejected them (with a horn). Rejected proposals were updated and re-pitched, until we ended up with the X-matrix containing the top 10 rocks and associated improvement measures, along with the strength of the correlation between all the rocks and strategies. Groups then re-formed around departments to look at the plan through a “departmental lens.” They discussed and filled in the X-matrix with the their department’s level of work alignment to the rocks. At this point we had the majority of the X-matrix complete for the coming year. This was just a first cut, however, so another Open Space session followed to allow discussion of opportunities and concerns, and what needs to be done in the final quarter of the year to validate our assumptions — resulting in a clear set of actions which were shared with everyone. By the end of the two days we had a clear and single page visualisation of the potential work for the year, why we were doing it, and how we would measure progress, along with a good understanding of the necessary next steps. As an addition to our corporate planning cadence, the X-matrix was a roaring success. It both helped us be disciplined about thinking about measures and results, and gave us great visibility into how all our work is aligned. It still needs refinement, however, and the executive team will look at the final X-matrix and use it to filter and focus on which strategies and rocks can give us the best leverage in meeting our goals. We typically hold ourselves to no more than four mother strategies and we also strive to limit the number of rocks in process. From the final plan, we’ll craft a True North statement and will begin executing. The regular cadence of quarterly steering meetings will revisit the X-matrix as a focal point to help us inspect and adapt. We’ll check business results and improvement measures and form rocks, which will start and end according to the necessity of the work and the need to make it transparent across this well-defined review cadence. As I wrote yesterday about some upcoming Rallying adventures, I get to work on some exciting projects. A recent one is the “Agile for Business” book which is being put together in an iterative and incremental manner. Bob Gower, who is spearheading the initiative, wrote a blog post last month about the background to the book. One of my contributions will be a short piece on flow, one of the three impacts I describe in Kanban Thinking. I am reproducing the current version below, although the final version may well change. Flow is the result of doing the thing right. It is the regular and smooth progress of work from its initial concept to its final consumption. Work that progresses in large chunks, in a stop-start manner, does not have flow. It’s the work that progresses in small pieces, in a continuous manner, that ultimately creates the kind of flow your organization needs. By reducing completion time and enabling greater predictability and reliability, it’s this kind of work that builds trust and fosters creativity and innovation. Moreover, reducing utilization and creating spare capacity, sometimes referred to as slack, allows a greater ability to respond to changes and surprises. After all, we don’t run our servers at 100%, and we know how well traffic flows on a grid-locked road! This spare capacity is what gives us time to spend on continuous improvement and innovation. Working on smaller and fewer pieces of work helps minimize delays and generate faster feedback. Think about a slow, sluggish cargo tanker compared to a fast and nippy speedboat. Further, balancing demand against capability, and not starting more work than you can complete, means that work isn’t left hanging around and depreciating. Imagine the pileup caused by trying to push a chain of paperclips across a table versus the smooth flow created by pulling them across. So how does an organization go about actually achieving flow? Focus on progressing and completing a smaller number of smaller pieces of work. Make that work, and its flow, visible in a physical shared place, and when work becomes blocked, encourage teams to resolve issues and concentrate on finishing it rather than starting something new. When aspects of the workflow are identified which mean that the work does not progress as quickly and smoothly as you would like, invest time in improving the workflow in order to develop future capability. While this may appear to reduce the amount of time one is kept busy, it’s important to remember that busyness and productivity are not the same thing. Measuring activity, in terms of utilization, will not create great results. Instead of focussing on the worker, focus on the work product, and measure work outcomes by things like throughput for productivity, lead-time for responsiveness, and due-date performance for reliability. These are all appropriate measures of flow. Stop starting, and start finishing. As a coach with Rally Software, I get to work with an amazing group of people on a variety of projects. I’d like to highlight a few of those which I am particularly looking forward to at the moment. RallyON is an event we have hosted in Boulder for the last few years, as a way of bringing together our customers and friends to share experiences and learn from each other. Its been hugely successful, not to mention fun, and I’m excited that we are able to host a version in Europe for our more local customers and friends. We’ll be in London, October 11th, and Dean Leffingwell is also attending as well as giving Scaled Agile Framework training the same week. For more details, and to register, have a look at the event website. At Rally, I’ve been able to work with a variety of organisations, while always applying Kanban Thinking. My colleagues have too, and its been rewarding to be able to share our individual learnings and collectively come up with better ideas than I certainly could not come up with on my own. 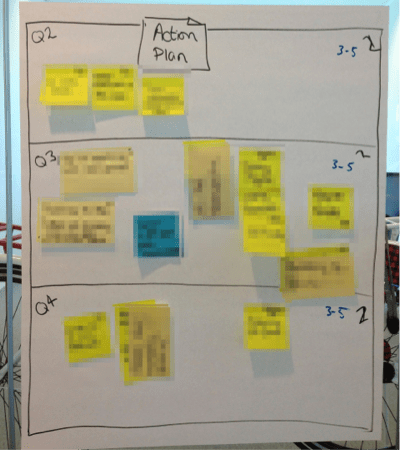 Typically, our Kanban specific work comes in the for Kanban System Design workshops, helping collaborative groups apply Kanban Thinking to their contexts. We are now ready to take a similar approach, but as a public training class, and the first one has just been scheduled which I’ll be teaching in Amsterdam, November 28th-29th. For more details, and to register, have a look at the course page. I was recently on a Q&A panel and fielded a question about how to deal with fixed date and scope projects. My response has evolved into a blog post which has just been published on the Rally Coaching Blog. Take a look and find out what the question has to do with trains and shopping! I have a few announcements so I thought I’d group them together into a single post. Firstly, I’m really excited that I’m going to be joining the Rally team in the UK. I’ve had a good couple of years with Conchango / EMC Consulting, but its time to move on, and I believe Rally are doing some great things in the Lean and Kanban space, especially with the recent acquisition of AgileZen. I’m really looking forward to working with Ryan Martens, Jean Tabaka and the rest of the Agile Coaching team. Next, I’m going to be at Agile2010 and will be running a workshop Exploring the Kanban Multiverse with Xavier Quesada Allue. 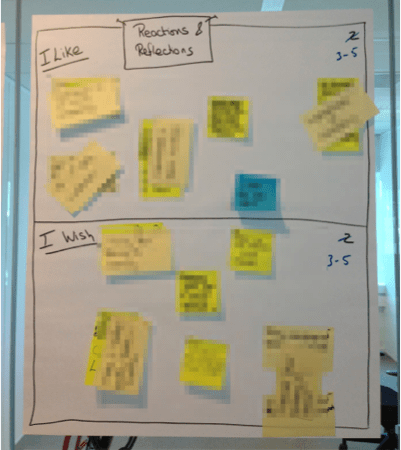 Its an evolution of Xavier’s Visual Management workshop from last year’s conference, with some updates that have been used at XP Day London and the Orlando Scrum Gathering. I’m also going to helping out with the bag packing on the Sunday before the conference. 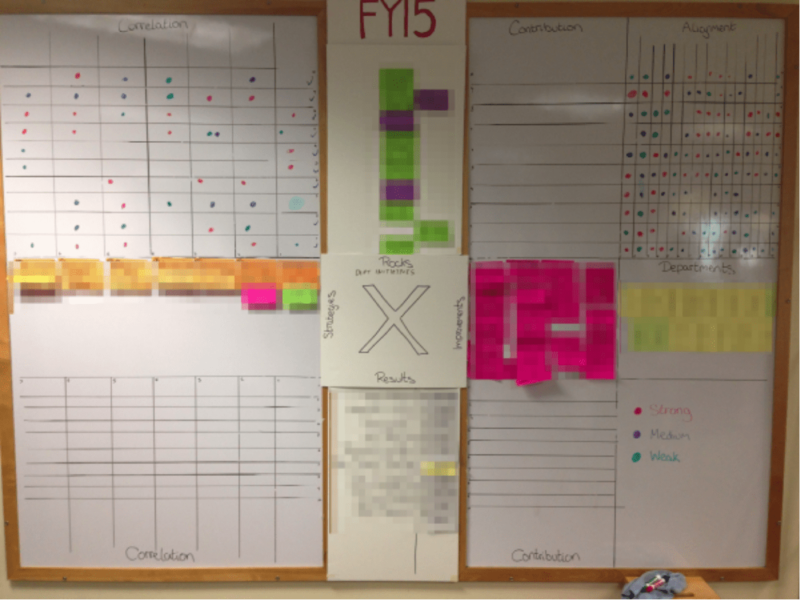 This is a repeat of something we did last year where we applied Lean and Kanban thinking to bag packing process and learned a load and had lots of fun in the process. If you’re around the hotel, come and find us and join in! Finally, the LeanSSC 2010 UK conference was a success and the materials and videos can be found on the Limited WIP Society.